One could argue that the peace accords contain a lot of political measures that are extorted by the threat of continuing the conflict. On the other hand both parties agreed on forehand by defining the agenda, showing clearly that the peace accord would try to solve Colombia's largest problems: social justice, inequality, land reform and illicit drugs. These problems are in fact the origin of the conflict. The political reforms as part of the peace accord could not have been established in any other way in Colombia, because of the still strong political influence of the rich. In fact the rich have always profited from the conflict the last 52 years by use of paramilitary violence and political corruption and - by doing so - have also extorted the Colombian population. To encourage Colombians to vote, the Certificado Electoral - a peace of paper to proof that you executed your right to vote - gives you several benefits, like the right to claim half a day off from your boss, or 10% discount on your tuition if you're a student. To be able to vote you need to bring your Cedula de Ciudadania (CdC) to identify yourself. Also your CdC should be registered into the electoral roll. You can only vote at the polling station where your CdC is registered for. If you move to another city or to another neighborhood, you should have the registration changed. Change of the registration is free as well as your first CdC. 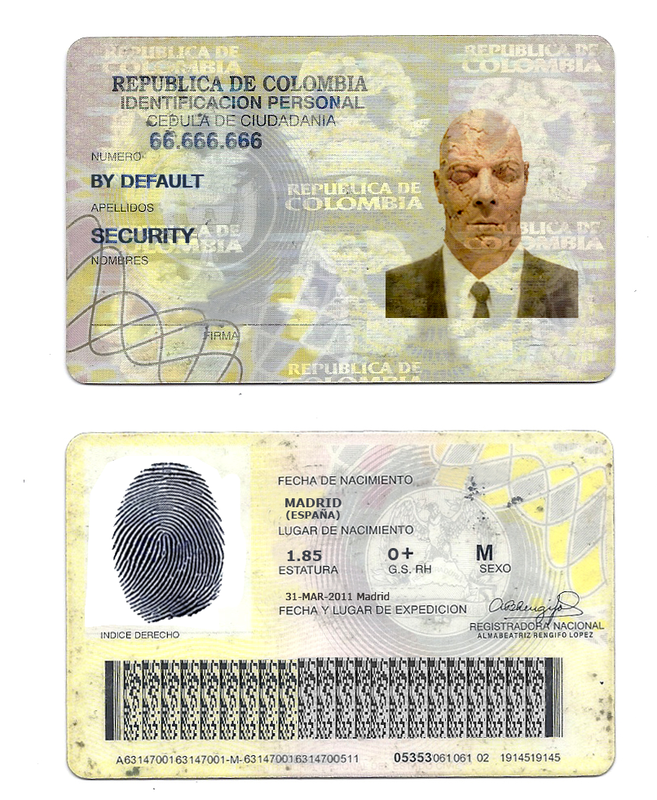 The Colombian CdC contains your photograph and your right index fingerprint. The officials at the polling station will check your fingerprint and your face among other things, before handing you the paper ballot. However, when you are your own boss and live as a poor campesino in the outback of the country, you could be traveling for several hours to the nearest polling station where you are registered. When you're your own boss, you can't claim a half day off. So, as a campesino, voting will cost you travel-cost and travel-time. Campesinos often cannot afford to vote because of these costs, while not enjoying benefits. If you're one of the 6 million Internally Displaced Persons in the country, you might not have been able to vote several times in the past, because your CdC was not changed in time to your new place of living. Many more polling stations in the country as well as introducing mobile polling stations in rural areas, could solve this problem and actually should have solved this problem a long time ago. 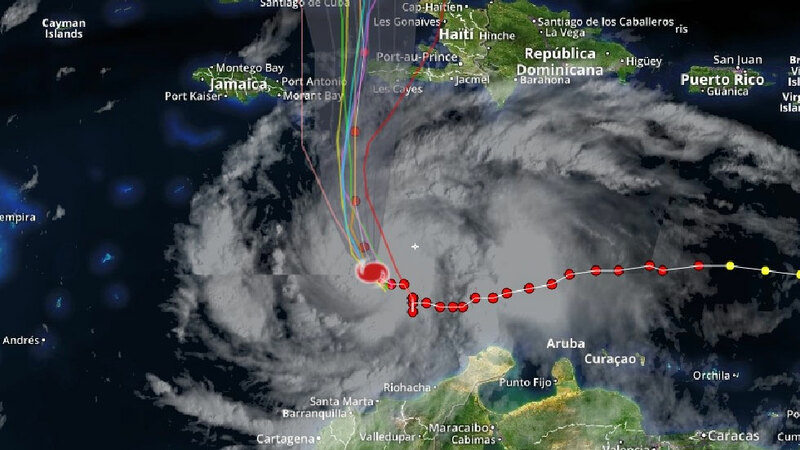 All across Colombia's Caribbean coastline, authorities had set up emergency shelters, closed access to beaches and urged residents living near the ocean to move inland in preparation for storm surges that they said would reach their most-intense moment sometime Saturday October 1st 2016. Hurricane Matthew killed at least one person and affected the homes of more than 18,000 families since passing Colombia’s Caribbean coast over the weekend, according to authorities. 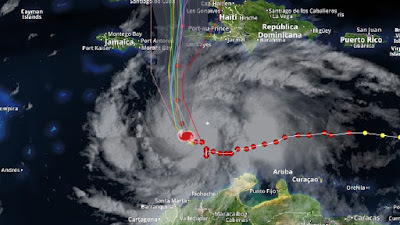 The hurricane has primarily affected the coastal departments of Magdalena, Bolivar, Atlantico, La Guajira and Sucre. According to La Vanguardia hurricane Matthew prevented thousands of citizens to vote. Towns were flooded including polling stations, transportation buses were out of service, electric power lines were down, and transport of election materials became complicated. Abstention turned out much higher in the affected provinces. According to TeleSur the The Colombian Observatory Mission (MOE) said that 4,000,000 Colombians were unable to vote because of Matthew (however the figure that TeleSur mentions represents the total abstention in the 5 affected departments). Uribe's party Centro Democratico refused to go along with a proposed extension of opening times of the affected polling stations. 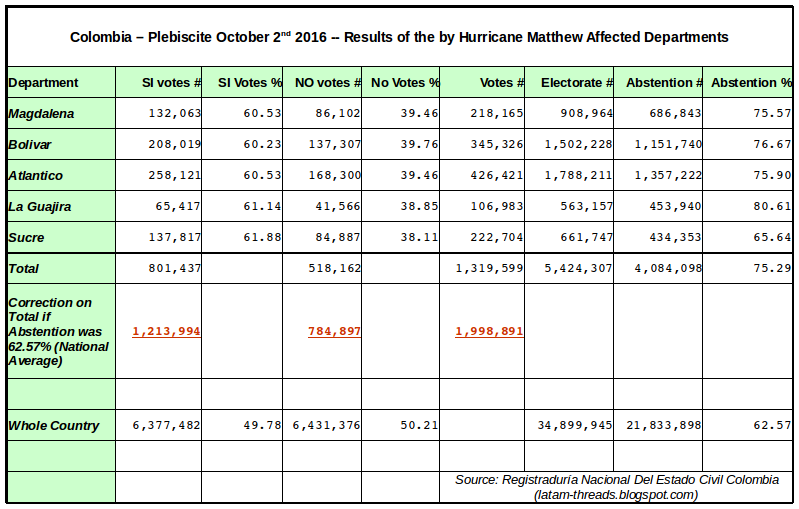 The table below shows the results of the plebiscite of the by hurricane Matthew affected departments and the correction if the average national abstention (62.57%) is applied. 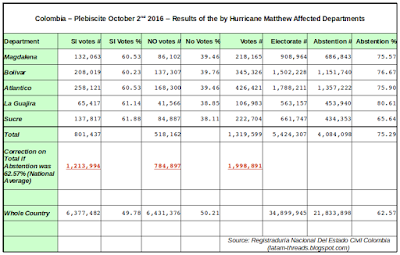 It shows that 1,213,994 - 801,437 = 429,097 more YES votes and 784,897 - 518,162 = 283,275 more NO votes would have been casted in the Atlantic region if Hurricane Matthew wouldn't have came along. That means 492,097 - 283,275 = 145,822 more votes in favour of YES than NO. And that means that the plebiscite would have won by YES and 145,822 - 53,894 (the number of more NO votes in the official total results) = 91,928 votes! show a very high Abstention. Citizens in Colombia have a constitutional right since 1991 to live in peace (article 22 of the 1991 constitution: 'Article 22. Peace is a right and a duty whose compliance is mandatory'.)! This means that successive governments should have done everything within their power since 1991 to end the internal armed conflict and certainly shouldn't have encouraged or intensified it. A plebiscite - as it was issued on October 2nd 2016 - that contains the question YES or NO to a peace accord when NO could well mean a continuation of civil war, could therefore be seen as unconstitutional. Especially while a bilateral truce between parties had been agreed upon already. If a government issues a plebiscite and asks the electorate a closed question of which the outcome could end up in continuation of a civil war, then the government is offending the constitution because all Colombian citizens have the unconditional right to live in peace. 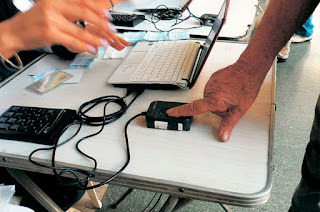 The constitutional court of Colombia should have declared the plebiscite invalid. that suffered less, voted No in majority (except Bogotá). While the Constitutional court of Colombia approved that a plebiscite about the peace accords was allowed to be held, the question on the ballot turned out to be very biased. It implied that a YES would lead to a stable and durable peace, while this isn't sure at all of course. It all depends on the political will to fully implement the peace accords in the next 10 years of so. Also the ballot didn't tell the voter what NO would mean. Back to war, or renegotiation? In the weeks before the plebiscite Pres. Santos said repeatedly in interviews in newspapers and on television, that there was no Plan B in case YES wouldn't win. That's putting false pressure on the electorate. Uribe didn't have a plan B either in case NO would win. The question in the plebiscite could be interpreted as 'Are you Yes or NO in favor of a continuation of civil war?' This simply means deception of the electorate. A plebiscite issued with only a 13% required voter turnout just cannot overrule a citizen's right to live in peace as it is anchored in the Colombian constitution. To remove article 22 by amending the constitution, the amendment needs to be passed through Congress through two rounds of voting, the first of which requires a simple majority, and the second of which requires an absolute majority. While this Colombian procedure is one of the most lenient constitutional amendment processes on the planet, it is unimaginable that an absolute majority in congress would vote to remove article 22. A valid question on the ballot would for instance be: "Do you agree with version A or version B of the proposed peace accord?" It was very unusual that pres. Santos declared the plebiscite valid and democratic the next day and accepted the NO so quickly. At every election in Colombia all kind of irregularities show up and there are still irregularities that remain unnoticed or not corrected. Despite the use of AFIS (Automated Fingerprint Identification System) that is used to identify the voter, the use of the paper ballot and ballot-box make procedures at the polling stations still vulnerable for irregularities. When ballot-boxes are (purposely) not sealed correctly and/or the opening procedure is not followed up correctly, or remaining ballots are not counted and destroyed according to the procedures, false ballots can easily be added before counting starts. Of course the number of ballots in the ballot box should be the same as the number of registered voters at the corresponding table. But if 100 NO ballots are illegally stuffed into the ballot box, then the table administration would subtract equally 50 NO and 50 YES ballots of the table total, leaving still an extra 50 NO ballots. Check out for instance the irregularities that occurred at the local elections of September 21 2015. More than 200 international observers were invited to monitor the plebiscite and 2,465 national observers were present. The MOE, that is supported by USAID, said in a press release that the plebiscite was the most peaceful of the last ten years. Similarly, the MOE notes that these elections have the least amount of alleged electoral irregularities reported by citizens such as buying and selling of votes, constraining voters and electoral transhumance, among others. Nevertheless many irregularities still occurred. The MOE is concerned about the low turnout of citizens of only 38%, leaving 62% abstention, a percentage well above those obtained in the last election cycle. This result indicates that it is necessary to work on the quality of citizenship as a prerequisite for improving the quality of democracy in Colombia. A digital voting system like in Venezuala, could make election fraud fully disappear in Colombia. Colombia’s plebiscite had a required voter turnout, but the bar was set very low, at 13%. Far too low for such an important plebiscite that determines the future of the whole country in a very serious way. 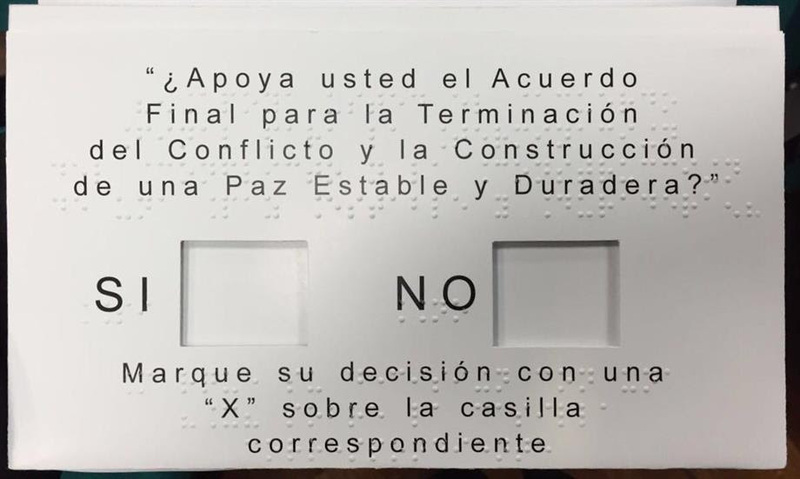 Only eighteen percent of Colombia’s electorate went to the polls Sunday October 2nd and voted “NO” to reject the accords. Another eighteen percent—though slightly less—voted for the “YES” position. Discounting nullified ballots, that means that less than a sixth of the entire nation voted against the accords—a vote that, according to the Washington Office on Latin America, comes with “a sobering list of outcomes”. The government campaign to vote for the plebiscite started only weeks before the actual date and was all about to vote for YES and could be characterized as disinformational and misleading (like the campaign's name). Pres. Santos emphasized there was no plan B, while a plan B meant re-negotiation of course. In a democracy the authorities and electoral council have the obligation to inform the electorate in a proper, broad and honest way about the plebiscite and the peace accords. The unbiased information campaign should have begun much more ahead of the actual date of the plebiscite and as soon as the peace accords were agreed. The government overruled the state's constitutional obligation to inform the electorate in a honest way and just chose to campaign for YES. Despite all irregularities mentioned above, Pres. Santos, immediately after the results were published, declared the plebiscite valid and democratic on Sunday 2nd October and called for calmness. But he also said he would continue to search for peace and continue the bilateral truce. To 'calm down' the people, already the next day Santos said the bilateral truce would only be guaranteed until October 31, which caused even more turmoil. FARC negotiator Pastor Alape responded by saying FARC troops were ordered to retake their positions. Obviously Santos made his statement to apply pressure on the FARC to retake its position at the negotiation table. 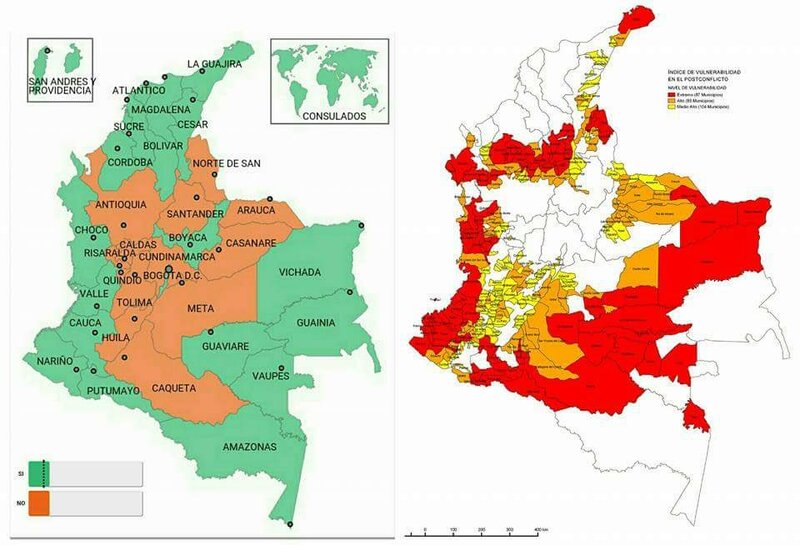 However, the FARC is expected not to give in one inch on amnesty and political participation. Suddenly Pres. Santos and Uribe shook hands publicly and are talking again. A few days later Santos stated the bilateral truce would continue beyond october 31. Uribe's campaign manager Juan Carlos Velez is investigated for electoral fraud after after revealing his campaign’s strategy in La Republica. The opposition's campaign sought to agitate voters avoiding the use of factual information. Hopefully the Nobel Peace Prize, which Pres. 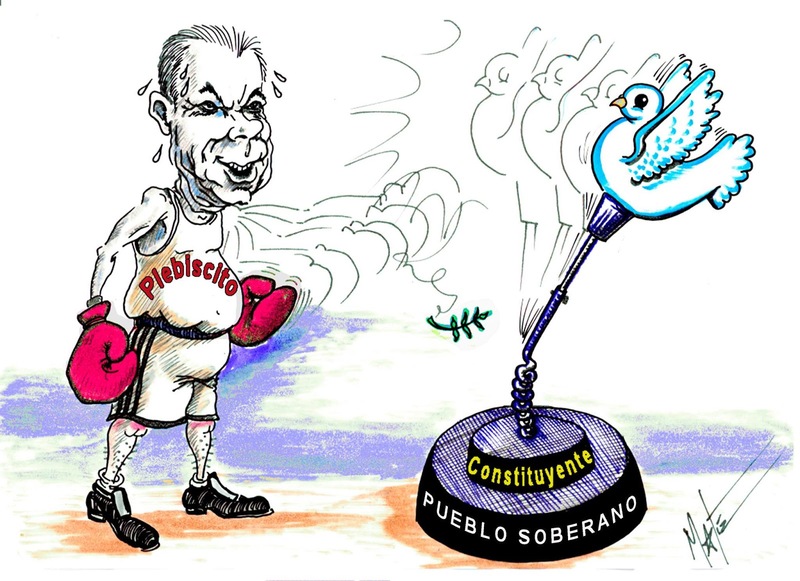 Santos won on friday October 7th 2016 and which he didn't had to share with Timochenko, is a strong incentive to bring this political struggle to a true peaceful end. Santos' 'plan B' might have existed all the time: Just renegotiate and/or add a few small things to the peace accords, to satisfy the NO-camp a bit, while giving Uribe the full honors, then issue a second plebiscite, while informing and educating the electorate in a much better way. If the turnout is much higher and the YES victory is overwhelming, 'plan B' might have been the better plan all along. An overwhelming YES for the peace accords ratified in a plebiscite will give a much more solid support base for a successful implementation in the coming post-conflict era.